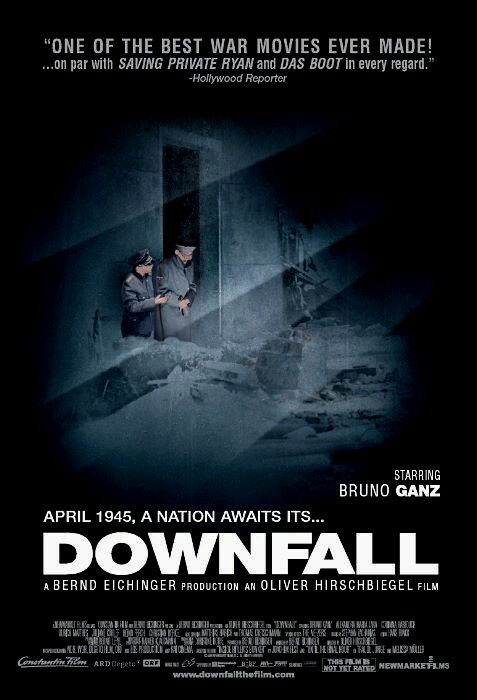 This entry was posted in Children and War, Movie, Stalingrad, Top Ten List, Trailer, War Movie, Women in War Movies, WWI, WWII and tagged Anonyma - Eine Frau in Berlin, Anonyma - The Downfall of Berlin, Before the Fall, Bruno Ganz, Das Boot, Der Untergang, Die Brücke, Dogs do you want to live forever, German movies, Hunde wollt ihr ewig leben, Joyeux Noël, List, Merry Christmas, Movie Trailer, Movies, Napola, Sophie Scholl, Stalingrad, The Bridge, The Downfall, Top Ten List, War and Children, War Movies, Women in War Movies. Excellent list. I am looking forward to watching them. Hope Netflix comes through for me. The only ones I had seen are Downfall and Das Boot. I watched Joyeux Noel recently on your recommendation. I have Stalingrad on DVD, but have not seen it yet and I am waiting for its turn on my Top 100 list. There are two versions of Das Boot. One for TV that is far longer but not as gripping. Stalingrad is easily my No. 2 after Black Hawk Down. It is one of the only ones I watched a few times (I am not such a re-watcher). I am 100% sure that you will like Stalingrad and will not for one second kick it out of the 100! Anonyma is excellent too. I’m sorry to say, you are wrong. I’m a European through and through. I’m not even a native English speaker. My native languages are German and French. I think Black Hawk Down is very critical of the American way of intervention and it is one of those movies that give you a good feel of what it would mean to be in a combat. I feel like that about Saving Private Ryan but for some reason, I always really loved Black Hawk Down. I think there aren’t as many movies that allow that kind of experience. I have seen the Downfall…great movie with great actor. I haven’t seen the others because German movies are not easy to find. I can imagine that they would be hard to find where you live. Too bad. They are good. Too bad indeed. I like European and Asian movies, when it comes to special effect they are not as great as Hollywood but the story is always deeper than those in Hollywood. Unfortunately that is often true. I want to add I was Nineteen–an East German film, that oddly enough, seems to serve as a companion film for Woman in Berlin. Oh great, thanks. I’m not sure I know which one it is. I will certainly look it up. It’s difficult to get movies from former East Germany. Of all movies listed “Die Bruecke” is probably the closest to reality. I saw the boat and find these depictions of homosexuality laughable. To me these scenes seem like filler material that were added in to make Germans look pervert. “Stalingrad” is another controversy. I dated a Russian and she said this movie is just like propaganda from the West; I kind of agree because it totally glosses over the hardship of the many civilians that were forced to flee the city. Basically the Russians burned their own houses and made the area unlivable before the Germans attacked. They succeeded…. If you like German war movies also look into “Cross of Iron”. Its not a bad movie, Steiner one of the main characters is somewhat like Felix Steiner, you can find him on Wikipedia. Anyways, I am glad the war is over. Well, yes, we can agree on that, I’m also gald the war is over. I still think Stalingrad is pretty accurate they just didn’t want to look at the civilian’s persepctive. What the Russian people had to endure is horrible. My DVD includes some documentarys. I can absolutely not remember any homosexuality in Das Boot but it’s present in Cross of Iron. Cross of Iron is an excellent movie, I reviewed it but didn’t include it as it is a co-production and not purely German although depicting the German point of view. Die Brücke is little know outside of Germany. It’s a shame as it is a very good movie. The very best ever made real life war movie was produced by Europeans it is called ‘Nanjing Nanjing’ city of life and death. If you have never seen it watch it it is truly brilliant and makes private Ryan look exactly what is was, and exercise in glorifying America…in Nanjing if the Chinese government, who interefered with some aspects of the movies, primarily because of their continued hatred of the Japanese. That aside though, though movie is simply stunning, and gives you a really good idea what like war truly was for citizens of that lovely city. This is a thread on German war movies. Nanjing is not a German war movie that’s why it is not on this list. “Cross of Iron” is a great film, and sadly underrated and underappreciated by the ‘great unwashed’. However, Sergeant Rolf Steiner, the “hero”, if he can be described as same, is nothing like Standartenfuhrer (Colonel) Felix Steiner, who was the original commander of the SS Regiment “Deutschland” in the late 1930’s and early in the war. (SS “Deutschland formed part of the SS-VT Division, which went on to become SS Division “Das Reich”, one of Germany’s premier Waffen SS Divisions, and a formidable fighting force). One Steiner is a fictional character, the other could be described as a founder of modern warefare. I agree, it is agreat film but not a German movie, but from a German perspective. they are some of my favourites too. Stalingrad is in my Top 10, das Boot, I would say in my Top 20. All three are outstanding. I love Stalingrad too. However I have been unable to obtain it spoken in German. The version I have has outrageously been badly dubbed into an almost comic like spaghetti western English. Oh for a subtitled German version. That is too bad. I cann’t imagine what it would sound like dubbed. I’m surprsied you couldn’t find a DVD with subtitles. Guess what, I am an American woman and i love all the German Films of war. Naturally I like WW2 films the best (no matter who filmed them) . The point is I wish there was more of them…..
WWII movies in general or German WWII movies. In both cases there are a lot. The problem with the German ones is that they haven’t all been subtitled. I know a series you might like (if it can be found subtitled) it is called Klemperer, based on the diaries of Klemperer. I saw it on German TV and was stunned. HI and thank you so much for this list, I guess you all that like well made war movies might also like “liberation” a soviet era war movie depicting diffrent major battles from kursk to the battle of berlin in 1970, why I write about it here is because the german side speaks german and the russian russian, It is able to find this movie with english subs. the special effects are outstanding, using real tanks, real planes etc for the scenes. I was stunned at the quality for a film from a country infamous for its lousy quality products. Worthwhile I must say. watch it! Thanks a lot, Sarevok. I will try to find it, it sounds very interesting. I hadn’t heard of it. It seems it is a Russian/East Germany co-production. they have doen quite a few movies together that are not always aesy to find but I’ll try. Thanks. Hello, I’m glad that I stumbled upon your site. Thank you for the recommendations. Among those listed, I have only seen Stalingrad, Das Boot, and Der Untergang– and I liked all three, to say the least. I admire the last scene of Stalingrad for its poignant and chilling effect, but Das Boot and Der Untergang are peerless. Most notably because of the acting, how the characters “become”, the choice to let the story naturally unfold with tension and restraint, what the camera focuses on and excludes — and perhaps because that is precisely the point, that these two films are more character-driven than plot-driven? Humour is more effective, too, in Das Boot than in Stalingrad. Much has been said about the gritty and claustrophobic experience of watching Das Boot. Much has been said about the tragedy of Der Untergang. And it relieves me to know that in the wrong hands, both films would have ended up as sheer melodrama. But between Das Boot and Der Untergang, I believe that Der Untergang is more difficult to pull off: the layers upon layers of emotion– even a spectrum of it– and the stark irony of what pervades inside the bunker when all else has started crumbling down. It is a relatively new piece of cinema, I am eager to know how precious it remains after a decade or two. Regardless, I am truly grateful for these three films. War cinema lives. You are welcome and thanks for visiting. I like the three movies you mentioned a lot.-One is in my top 10, the other in the top 20. Das Boot and Der Untergang are very character-driven, I agree. Stalingrad is grittier. Bruno Ganz is fantastic in Der Untergang. I think he is the best Hitler I’ve seen. But Corinna Harfouch as Magda Goebbels gives a chilling performance too. I think Der Untergang will still be seen as one of the best of its kind in 10-20 years. Sophie Scholl is alos worth watching and so are the older one Die Brücke and Hunde wollt ihr ewig leben. I need tp re-watch and review them soon. Great, I will wait for your reviews. Oh, and I’ve seen Napola, too! Expect me to comment on other blog posts because I plan to do more browsing in your site. That’s good to hear. I appreciate thoughtful comments and interesting discussions. Thanks, Borgward. I did’n t get the time yet to watch all of it but will do so. Strictly speaking they are not all German movies… Never mind. Hi there, thanks for visting. I was hoping somebody may be able to identify a, what I believe, was a German war movie I once watched. It’s been so long ago, I can’t recall if they were speaking English or if it was subtitled. This movie was from the German perspective and something I found interesting was that it followed a pair of boots. As one soldier was killed, another soldier took his boots and it went on like this. Towards the end of the movie, he was sent to a school to enlist some children, but he told them the reality of war and how it was not glorious. I think he ended up getting sent back to the lines. I remember the end of the movie, but don’t want to spoil it for others that may find it interesting. Any help in identifying this movie would be appreciated. I’m pleased, I can help you. “All Quiet on the Western Front” that’s the movie you are looking for. Here is my review and I mention the boots scene. It’s an amazing scene. This site is awesome, such good info and you almost always reply to the users. Just wanted to say keep up the awesome work, and thanks for all the great choices !!! Thanks, Ryan, this is very nice of you. Your comment is very welcome. Thanks, I’m glad you like the site. Could the movie be The Ogre? I reviewed it. It sounds similar to what you describe. Great suggestions for films too see, I would love to see a Hollywood or a decent version made of the Lions of Carentan, or about the battle of Crete. There where some great German leaders who were not bad people. Thanks, bettyblue. Yes, it is certainly true that they had some humane leaders too. I see there’s going to be a film about Monte Cassino, needless to say it will be biased heavily towards the American’s but with the amount of casualties on all sides it’s a story that needs telling. Thanks for the link. That sounds interesting, despite the possible biased approach. Krupp a German familie (serie)…. 3 ep. Ah, yes, I saw that somewhere. Thanks. I need to watch it. Thanks for the suggestions, I’ll have to watch them soon as well. Yes, G.W. Pabst directed it. The Nazis banned Westfront 1918 because they deemed it a pacifist film. Unfortunately I have never seen the entire film, only clips and the dvd versions I have seen for sale appear to be in region 1 with the only option Spanish subtitles! HI I am looking for a german war movie, which is about 5-10 years old. It is about the escape of civilians from Königsberg and from East Prussia. Any idea? That doesn’t ring a bell at the momen. But I’ll have a closer look later. Maybe someone else knows it? I really cannot remember a movie on the topic at all. Hopefully he sees this and that’s it. Thanks a lot, that’s great that you knew it. Thanks! There’s even a French dubbed version (alas no original language with subtitles, for a 3 hours-long film I’ll have to seriously brush up my German). One more question, do you know any german war movies made durign the war. Are they available somewhere? I am not nazi or something but interested in war movies of all kind. @G : You’ll find some online, Stukas andÜber alles in der Welt on archive.org, U-Boote westwärts and Kampfgeschwader Lützow on youtube, Spähtrupp Hallgarten on veoh, etc. They’re far from being good movies at all. I reviewed it a while back and thought it was very good but it’s not available in English, so I left it out. The huge majority of the readers of this blog don’t speak or understand German. The Spanish DVD (‘Noche de Angustia’) has spanish and portuguese subtitles – still not english ones, though. Not sure that would be of great help to most of my readers. 🙂 But it’s always good for the few who speak another language to know what’s available. Thanks. I’m glad it has been found. I’m going to watch it very soon. and congregate about: The Endlosung (I guess)!? This movie is called (conspiracy) another great german film is come and see, The Tin drum. Its ok…I just found the movie I was looking for! Great, I’m glad you found it. I have still not seen it myself, I’d like to though. Just this week a three-part series (90 min each) was shown on German TV called “Unsere Mütter, unsere Väter” (Our mothers, our fathers). It tells the story of 5 young friends who get involved in WWII and how it changes their lives and personalities and it covers the time from 1941-1945. It’s one of most expensive German TV productions ever and very well made. I was so hooked I had to watch the leaked part 2 and 3 on the web before they appeared on TV. If you speak German you’ll find them online, if not you’ll unfortunately have to wait till they make it into British or American TV which I’m sure they eventually will. Thank you so much for telling me. This sounds very good and like something I would enjoy. German is my native language, so I’m lucky, I guess. It is is still online on the ZDF website, probably not for long, but the DVDs are already out. The first part is interesting, however in my opinion it seriously goes downhill from there, carefully avoiding all tricky questions while pretending to address them. Some good actors, though (but I confess having a crush on Miriam Stein so I’m probably biased). I saw it’s on YouTube with subtitles. The whiole three parts. I might post on it shortly. Btw Did you watch Heimat? I never did but heard it was quite good. Yes. Heimat is a very ambitious work, artistically far superior to this one – which makes what I may otherwise regard as its flaws almost, if not entirely, secondary. But then, these are two different films. The original Heimat dealt with several generations over sixty years whereas the scope of Unsere Mütter, unsere Väter is very narrow : four war years in the lives of five characters all born around 1920. I knew Heimat was larger in scope, still I was wondering whether it’s worth watching. I might give this one a go first as Heimat is long and as you may have deduced from how little I post these days, I’m a bit under pressure but it will get better in June. I noticed I’ve seen Miriam Stein in the Goethe movie. I wasn’t too keen on the movie. Unsere Mütter, unsere Väter probably fits the subject of this blog more than Heimat. It has a very ’21st century US historical TV series’ feel – think Band of Brothers or The Pacific. I’m not a fan, but a lot of people are so it undoubtedly says something about today’s viewers, if not about history. I’ll see when I can watch it. I’m not surprised it has a US feel, many German movies have. And series as well, it seems. I recently found a world war 2 movie “Judgement at Nuremberg” and was just awestruck by the quality of the dialogues and acting. I think even it does not have war scenes, it must be a worthwhile movie experience. I couldn’t agree more. It’s one of the vers first I reviewed on this blog. It’s a stunning movie. I wish more like that existed. I also have a weakness for court room dramas. Thanks a lot. I’ll have to check this out. A monument of cinema… not sure it qualifies as a ‘war movie’, though! It depends where you draw the line, I would say. Sure, and as you know my own definition can be quite extensive. I hesitated before reviewing Gance’s Napoleon which I hadn’t seen in years, for I remembered that long parts were devoted to politics. After re-watching it, it eventually seemed to me that war was central to the film itself, none the least because its subject is presented as a military strategist from the start – and because his ability to lead men into battle is pictured as the source of his legitimacy to lead France. As far as Syberberg’s awesome work is concerned however, I don’t recall war playing such a big part. Of course, one can argue that war was central to both nazi ideology and the history of the regime, but that’s not in my opinion a path taken by the filmmaker. Which, remarkably, has other very important things to convey. I agree, it may not be a war movie per se but if one includes wartime movies, like I do, I think it is essential to include movies which complement other movies, for example in highlighting the background so many “typical” movies leave out. I haven’t seen Abel Gance’s Napoléon, I don’t seem to be able to find a copy. That.k you so very much for these must see German movies. Tho I was born in the united states my father was born in Germany and all my aunts and uncles and grandparents fled Germany in 1946-47 due to the fear of the Russian occupation or possible takeover of Germany. My family were ALL REGULAR GERMAN ARMY. I am fascinated by German war movies just to see and try to see or know Manet even feel what they felt. I have heard countless stories about the war from a German perspective and growing up here in America seeing the American perspective too. My great uncle George told me about how he and his brother were both present near Normandy, about 1 1/2 mile inland from Utah beach during the invasion. They were German paratroopers. To hear there side is something, and to see their photo albums and silent home movies in the army is incredible. I want to find an Eva Braun movie. I believe she was an actress too. Also where can I see some of these movies? I have seen downfall, das boot, all’s quiet on Russian front. Ill check Netflix but I’m not sure if they will carry German made movies.thank you so much. Any others you can remember please let me know. Thanks Tommy, I’m glad you like it. We tend to forget how many regular German German troops there were. Good people trapped on the wrong side. Cross of Iron is a really great movie from a German POV. Have you seen it? Your family has an interesting history. I could imagine that one wanted to flee when the Rusians arrived. I’d love to see his list. I recent years there were quite a few really good German war movies. I suppose if I did the list again I would have to add some more. I haven’t seen Swing Kids, thanks for the suggestion. I suppose your grandfather must miss Germany. Having to leave for whatever reason isn’t like wanting to leave and the war was intense for everyone. I’m looking for a movie. It is about the hitler youth. The leading parts are about 2 boys, one is a boxer and the other one doubts about the nazi regim but his father is an important person in the army. Can please someone tell me the name of that movie? I’ve watched a german pov movie 6 to 10 years ago about the last part of the war where german oldiers are being instructed to go on while they have almost no gear or anything left. There colonels are being toled there are new tanks coming, while they know there are none left. The film is the storie of the men on the front line, so not in berlin or anything. I think the movie went straight to dvd, never showed in theatres. Can anyone think of a possible movie title? Great site btw. Gonna watch a whole list of the movies reviewed here. Do you by any chance remember the location? Eastern Front, Western Front, Italy? Thanks for your comment, Ivan. I’m glad you like the site. As to the movie you are looking for, like nem baj, I need some more information. It would good to know which front they were fighting on. Thanx for the reactions guys, I’m gonna think real hard if I can remember anything more. I believe it was in central europe, but just cant pinpoint it yet. Schlöndorff’s Der Fangschuß aka Coup de grâce (1976) certainly makes my own top 10. Another one I need to watch. Did you see the comment on the War Romnaces post? Someone is looking for a Holocaust movie with a painting. I have no clue. I’d be curious to read what you think about the Schlöndorff. Yourcenar wasn’t happy about it, but I think the film has its own merits. As for the other request, I have no clue either. I wonder if there is a DVD of Veidt Harlan’s magnificent film “Kolberg”. I have seen it on Youtube but there were no subtitles and although my German is adequate as a tourist, it isn’t much cop at following conversations in a complex dialogue film. It was shot in Agfacolor I believe. Surely if they can do the amazing Hans Albers film Munchausen from 1943 they can manage Kolberg? Yes there is, published by ihffilm.com but you can also get it through Amazon US. Don’t expect a museum-grade restoration though. Hi! WHAT A FANTASTIC RESOURCE!! I live in Ottawa,Canada. There have been many references to the great film “Cross of Iron” with the starring character “Sgt.Rolf Steiner”. There was a sequel made, called “Breakthrough” with Richard Burton in the role of “Sgt Steiner”. I suppose I’m glad they made it, but as with almost all sequels (Except Godfather 2), they should have spent the money a better film. The movie isn’t always easy to find, I finally found it on the Torrent “Pirate Bay”. You should be proud of your website, and your readers seem to be intelligent people, with input worth reading. So far no profane morons with “F… this”, etc. Thanks, a lot, Tonto, for your comment. I’ve pretty much escaped the f*** comments so far, which I’m really glad for. Cross of Iron is one of my top 20 movies. I haven’t seeen Breakthrough. Might watch it some day. OH OH!! BIG WHOOPS! The sequel to “Cross of Iron is “BREAKOUT” NOT “Breakthrough” As Maxwell Smart, Agent 86 of Control (from the old TV series “Get Smart”) would say…”Missed it by that much!”. If anybody is interested, I used to work for the Canadian Armed Forces as a civilian employee. Eventually I was promoted to a job where I was involved with new weapons system procurement. My job was to be a member of the team that would go to the contractor, mett with the company folks who knew all about theweapon, or what ever. I could not believe it when my 1st trip was to Kiel,West Germany(Feb, 1989, about 9 months before the collapse of the comminists. Yeah, I hate to admit it but it appears I’m getting old. I’m 52 now, was only 28 then!). a) They permitted us to see a “PRIVATE” VIP ONLY (me? really?) KRUPP tank museum within the secured area of the plant. They had everything from post WWI 1920’s period(not permitted by Treaty of Versailles I believe, to WWII Panzer III’s, Iv, V, (NO Tiger unfortunately, I wasn’t going to complain! ), post WWII models right up to the AWESOME Leopard II’s. The engineer let us in, by accident “OF COURSE”, to a room in the back where a wooden prototype Leopard III was being hand crafted. The project manager came in screaming at our guide, & we were out quickly. I still am not allowed to talk about the Leopard III, even though I think they never actually made it! b) Took us to a real WWII “U-boot” as they would say, a tourist attraction in the area. We got to go inside! It was even smaller than they appear in the movies.Lower ranks had to sleep “ON TOP” of the extra torpedos! If and when the ones in the tubes were fired,they were able to sleep on a flat, not rounded cold steel bed.The crew was 53 I think, 26 on shift, 26 off resting, & a Captain. How could humans endure this, let alone being depth charged?. movie! He said it was far too crowded in the U-Boot on the beach, as they had to follow th crew with all the cameras, sound boom, etc. So instead they built a !/2 U-Boot, on the left side I think to allow the movie crew to work. When necessary, small sections of the right hand side, could be quickly set up. My brain and senses were on overload! Even my best dreams were NEVER this good! c) We went to the “U-Boot” Memorial, with a Gigantic Eagle overlooking the water where so many went out to sea, never to return. It is on the web.You folks on this site are bright enough, that I need say no more. When I think about bad things that have happened in my life, I can always recall that amazing week in my life. How could I ever get the nerve to complain. My 1st ever trip, and I go to a KRUPP factory(I think they sold it years ago), where some of the old buildings still had faded camouflage paint, with air raid bunkers close by! So unreal. I can’t blame any of you for not believing this, but I thought some of you would appreciate it. Such wonderful people the Germans are. I know why we wound up slaughtering each other, but when you are there it is so hard to believe it happened. What a truly amazing experience. I would have loved to be there. Sounds like such an exciting trip. I’m particularly fond of Das Boot, btw, it’s on of my all time favourite movies. Being on a U-Boot looks pretty claustrophobic when you watch a movie but it sounds as if it was even way more so, when you were really on it. Oldies in B/W but goodies. Thanks a lot for the suggestions and kind words. I still have to watch those myself. Now that made me laugh then cry in damned frustration….. The Adventures of Werner Holt (GRD, 1965) is a good East-German war film telling the disillusions of a young man raised under the Third Reich. Though not devoid of heavy-handedness when it comes to broad historical commentary (‘anti-fascism’ oblige, but we’ve seen worst in too many ‘Western’ films to count), it does however a very good job at portraying the kind of emulation beetween peers that the short-lived nazi regime proved so good at fueling and using through the manipulation of sincere emotions like friendship, a mix of fear and bravado, obedience and initiative. The focus on the main character’s feelings, thoughts and relationships, from school to military training to the unglorious retreat under Soviet advance, gives the movie an intimate quality that largely compensates for its small-budget production. And the young cast provides solid (Klaus Peter Thiele) to masterful (Manfred Karge, soon to become one of Europe’s theater geniuses) performances. In my view, it is a worthy companion to Ich War Neunzehn, attempting to grasp the same subject through a different approach. I’ve been planning to watch this sooner or later. Good to know it works well with Ich war neunzehn. I’m not sure at all, which movie that is. I’d need some more infomation. The whole film was about that platoon? you may have very well seen one of the parts of Sven Hassel’s war dramas in pictures… Look up on internet about the series made after his best sellers… you may find your movie among them. Thanks, Criss, I hope he sees your comment. Pls does anyone know a free downloading sites where o can download these movies????? I really enjoyed the 1990 movie ‘Europa Europa’ about a young Jewish boy that joined the Hitler Youth. Apparently it was based on a true story. Another German movie, ‘The Counterfiters’ (Die Fälscher – 2007) was exceptionally well done. It is the story of how the Germans forged the British & American currencies. Hi John, Glad you like the site. Yes, Europa, Europa is based on a true story . Just like In darkness, the movie I reviewed recently. It’s been made by the same film maker. I watched the Counterfeiters when it came out. I would have to watch it again. It was very well filmed but I think something bugged me. I’m always glad for recommendations. If you can think of anything else, just let me know. Does anyone here know anything about this movie,or the name of the main actor? I have seen him also in another movie,in the english languge,but I do not recall anything else. Thanks for any information regarding this movie,or the main actor. Hi Alberto, This sounds like Klaus Maria Brandauer in the movie Mephisto. Right on!,thanks very much for the information,I was so impressed by this movie that I wanted to show it to a friend,but could not remember the name of it. I have another one about the war,this happens in a small Italian town,this guy is the owner of a textile shop and thinks women,for some reason he can not understand ,are attracted to him as soon as they see him.He has a sister,who gets involved with a ill reputation guy,and looking after the honor of the family,he decides to pay a nocturnal visit to this guy,he enters his home through a window ,and tries to scare him with a gun,well,accidentally he kills him,and trying to get rid of the body in a suitcase,the police got him…….finally he is given the choice to go to jail or go to war,and he goes to war (world war 2)……..and this is the very beginning of a lenghty and beautiful movie. I believe this was a Canadian Film Board movie,or an Italian,German and Canadian production,it was shown on PBS years ago,I asked them but they could not identify it. If you happen to have any idea about this particular one,please let me know. Hi Alberto, I have to pass on this one. Sorry. If I find out, I’ll let you know. Hi I am interested in watching Stalingrad 1993 with English subtitles. I have a German copy is there an easy way to add English subtitles to it? I’m sorry, I can’t help. I know it can be done but I don’t know how. I’m sure you can watch it on Netflix. 4. NExt you need to get the subtitiles in englis every single film listed i have found heres how you do it…do a gooogle sear for the name of the file with a space after and type in SRT its the file extension for subtitles .whereever you find it download it its very very small in size lesstthan 100k…. Im gonna post all my european movies i have a ton to post. Hi Ed thanks for that I will give a try. Thank you for the site and the opportunity to learn more about movies.I am going to find more than 30 titles which most of them I never saw. 13. The Fallen: ITALIAN italy war with partisians seen from 3 perspectives the germans italians and americans it needs subtitles because each perspective is in that language. Great list! Thanks for sharing it. I’ve seen most of them but will look for those I don’t know yet. I haven’t seen all of them but I really liked these: The Bunker, Ice Cold In Alex, The Longest Day and The Cross of Iron. Age of Heroes isn’t very good. And the others I still have to watch. You have put a lot of effort getting this list. Its great. Thanks Katheryn. I’m glad you like it. Movie streaming sites that we can find online provide much more that just movies. By that I mean annoying ads and registration forms to fill in order to watch a movie. http://awesomemovieshd.blogspot.com however provides only the real deal HD movie streaming with none of the earlier mentioned. Here you can truly enjoy watching your favourite movies and relax after a hard day at work. Reblogging so I can refer back and check out more on the list. Traveling around Germany and visiting the memorials this weekend, what a tragedy but certainly events not to be forgotten. The movie is available via file sharing. If you look for it there you should be able to find it. Thanks, for adding the links, Leo. I’ve seen it and reviewed it. It’s very good, I agree. One day, when I’ll make a longer list of German war movies and I will include it. Thank you for the list; I found it and the comments useful. Although you may have ruled it out on categorical grounds, I’d be inclined to add Leni Riefenstahl’s The Triumph of the Will, which is generally regarded as one of the great propaganda films ever made. You might also note Die Weiße Rose, the 1982 version of Sophie Scholl: The Final Days. My pleasure. Thanks for the suggestions. I do have my reservations regarding Leni Riefenstahl’s work. Not from an artistic but from an ideological point of view. The lst isn’t exhaustive at all, as I only picked 10 movies. That’s why I find the comments section great. People can suggest more. Die Weisse Rose is definietely a movie I’d love to see as well. Come and See is not a German film but is one of the most powerful, nightmarish and yet poetic films ever made about WW2. It is a Russian film and one of the only ones I have ever seen which depicts -in graphic detail-the systematic planned massacre and destruction of villages in Byelorussia by German Police/Auxillary/Einstazgruppen ,the associated partisan warfare and its impact on one particular boy..It is one of the few war films that I have to steel myself to watch a 2nd time due to its visceral and emotional impact. There is zero glamorisation. Another very intelligent , insightful and sad one is an Estonian or Latvian(sorry can’t recall now) film..called “1944”. It is subtitled made in the last 5 years..it tells the story of 2 groups of Latvian/Estonian soldiers as the Russian forces break through..one group are Latvian/Estonian Waffen SS soldiers, the other group are fighting for the Soviets..they end up fighting each other..its the only film I’ve ever seen where the European Waffen SS soldiers are depicted as normal men(Non Germans weren’t allowed in the Wermacht)..as are the the ones on the the Soviet side..they each have there own motivation..and hopes for Latvia/Estonia..
I’ve had the DVD Come and See for ages but I’ve not dared watching it yet. I always had a feeling it’s one of the most affecting ones. I need a good moment to watch it. You just confirmed my worries. I will watch it though. I hadn’t heard of 1944 or don’t think I have. It sounds equally interesting. Thanks for mentioning it. 08/15 is a must. Should be with at last english subtitles although to find.Dont know whitch antifa wrote the wikipedia article, but give it a try. OK, thanks, I’ll do that. If I can find it. I saw a coming attraction ,quite a while ago ,can’t remover the name . It was 2 HASSIDIC BROTHERS , AND ONE OF THEM WAS TALKING TO HIS BROTHER ,AND ALL I REMBER FROM THAT ,BRIEF COMMERCIAL WAS ,THIS. HE TOLD HIS BROTHER ,I LOOKED INTO HIS EYES,HE LOOKED INTO A GERMAN SOLDIERS EYES,AND HE SAID TO HIS BROTHER,AND HE SAID ,I SAW THE WORLD!! GOSH,I SURE WISH I KNEW THE NAME OF THAT MOVIE!! SURE STILL WANT T O SEE IT. THERE’S A FEW YOU LEFT OUT. A MOVIE: THE FIRST ,AND THE LAST!! Thanks, Derrick, I’ll have a look. Good films all, but a very West German-centric list. I’d include Stars – Sterne (1959), The Gleiwitz Case – Der Fall Gleiwitz (1961), and I Was Nineteen – Ich war neunzehn (1968). Not to mention The Adventures of Werner Holt – Die Abenteuer des Werner Holt (1964), The Russians Are Coming – Die Russen kommen (1968/1987), and Five Cartridges – Fünf Patronenhülsen (1960)—although that last one is about the Spanish Civil War, not WWII. It is a West-German centric list, I agree. I haven’t seen all of these you mention, thanks for the suggestions. I still stick to my list. Thanks to everyone for this great list of WW2 movies. I was born 5 months after it ended and it has always utterly fascinated me. I’ve seen Das Boot (excellent, one of my all-time favorites); Generation War (German: Unsere Mütter, unsure Väter) (excellent); Napola (Before the Fall; watched a long time ago, need to rewatch); Leni Riefenstahl’s The Triumph of the Will (not a great Movie as such, but powerful propaganda); and a couple others. I’m glad you liked it. I’ve seen those you mention and find them outstanding. With the exception of Leni Riefenstahl’s movie, which I haven’t seen yet. Thanks for reminding me.